Nat Geo Kids guide to summer fun! Check out these 45 fun ideas for summer activities at school and on holidays! This fun resource gives children 45 ideas for things to do this summer. This includes; 20 boredom busters perfect for home and school, 10 ideas for a day at the beach and 15 ideas for getting outside (including 11 for the garden and 4 for exploring woodlands). 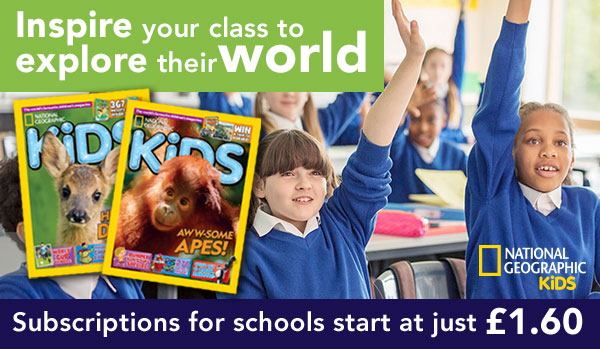 Discover lots of different ways to make the most of the summer holidays, as well as ideas for summer school activities and ideas for fun final lessons before the end of the school year in our National Geographic Kids’ summer primary resource sheets. The teaching resource can be used as a printed handout for class time, or for children to take home with them for the summer holidays. Activity: Print the resource and complete the tasks. Children could take copies home with them, or on nature walks in the woodland, so that they can use the scavenger hunt tick list. Through creative play, I explore different materials and can share my reasoning for selecting materials for different purposes. I can distinguish between living and non living things. I can sort living things into groups and explain my decisions.